To join a Medicare Advantage Plan, you must have Medicare Part A and Part B. You will have to pay your monthly Medicare Part B premium to Medicare. In addition, you may have to pay a monthly premium to your Medicare Advantage Plan for the extra benefits that they offer. If you join a Medicare Advantage Plan, your Medigap policy won’t work. This means it won’t pay any deductibles, copayments, or other cost-sharing under your Medicare Health Plan. 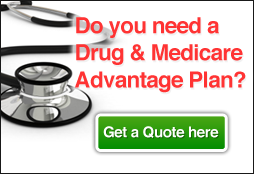 Therefore, you may want to drop your Medigap policy if you join a Medicare Advantage Plan. However, you have a legal right to keep the Medigap policy. You can switch or drop your advantage during an enrollment period between November 15 and December 31 of each year.